The need to staying active, being intellectually stimulated and socially connected never ends. 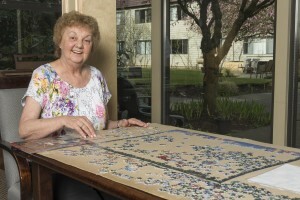 Residents at AgeCare Harmony Court can enjoy life at their own pace – from calm and relaxing to active and energetic. Our recreation team works hard to design engaging activities and programs to ensure our residents experience the best quality of life possible. Programming is tailored to our residents’ needs and capabilities. Through these programs, residents continue to pursue leisure interests, develop new skills, enhance their self-esteem and build rewarding relationships with other residents, staff and volunteers. For our memory care and dementia care residents, we provide specialized programs and activities, some of which are designed to help them rediscover old skills.